This is a picture of my foot. It is ugly. A photo of my foot is now indelibly etched into the fabric of the Internet because of this device. This photo of my foot is the first picture I took with my production Eye-Film card. I don’t mean that I posted the first thing I took a picture of; I mean that the device literally put the photo on the Internet for me. Directly from my camera. Using my wireless network. And it is a 2GB memory card. Pretty damn cool. 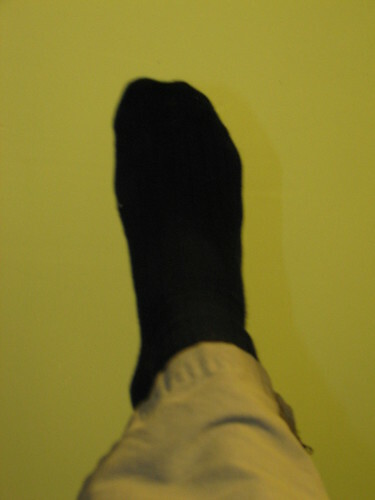 Posted on November 18, 2007, in Atlanta, Photoblog, USA and tagged eye-film, foot, georgia. Bookmark the permalink. Leave a comment.